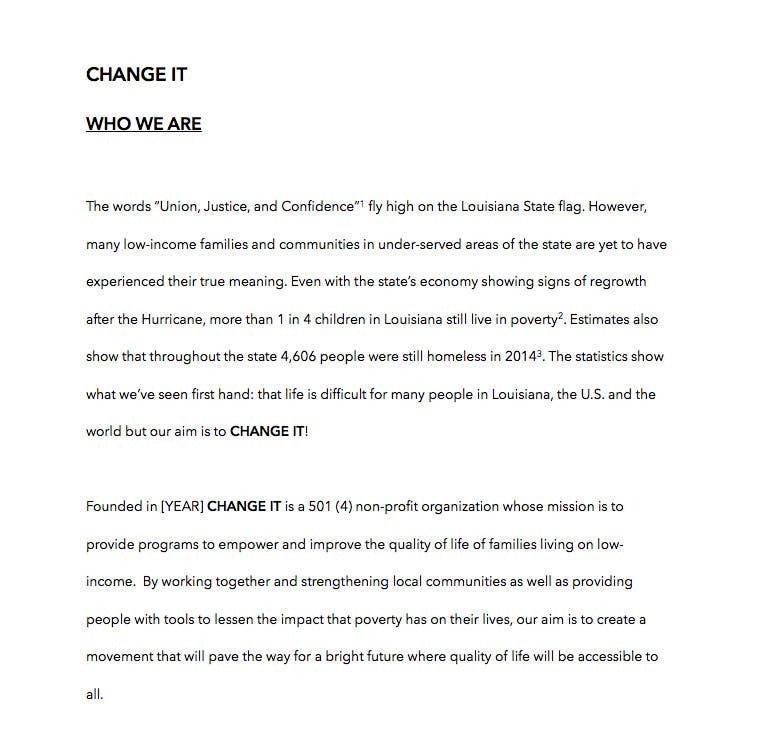 Hello, this is my take on the CHANGE IT mission statement. I hope you like it. Also, I've added brackets where relevant information should be added.